The Lighting Warehouse’s online service was exceptionally good! I had placed the order in the morning and within a few hours my order was being delivered. Your service was like Lightning…I bought on Wednesday 15H00pm and on Thursday 8am your friendly staff called to check if I was available for delivery that day. I rescheduled for Friday and again Friday she called and my order was delivered. The deliveryman Leroy was also friendly and polite. I commend you The Lighting Warehouse. A whole lot of big shops can learn a thing or 2 from your service. U have gained a customer in me. Thank you for your excellent service. I’m pleased with the products I bought from you. They were delivered promptly. Very good service. Thank you. The relief of knowing that Lighting warehouse will deliver as soon as absolutely possible, is wonderful. Excellent service. Same day delivery. Driver who delivered also very friendly and efficient. I ordered a light fitting on Friday, and it was in my Cape Town office on Monday morning. Great service. I’m now getting all the fitting for my reno from you guys. Well done, and thank you. I ordered the Otis floor lamp and a recommended bulb. I received it and I am happy with my purchase. It was easy to assemble and works well. The delivery took very long, though. Please arrange with your delivery company to inform the client the morning of delivery that they will be tendering delivery that day. It is of no use to receive a phone call that there is someone at the door with no prior warning, if there is no one home. Otherwise, I am happy with both the service and the price. I had a very positive experience in purchasing with you. Your sales rep contacted me after working hrs and he was flexible with my request. Ifound the LED globes that I have been looking for, for over 4 months, ordered and paid by Zapper, Received follow up for the courier and the parcel arrived with 30 hours of order. Most impressed with the speed and accuracy of the service provided! Had my light fitting delivered (outside Gauteng) within 2 days! Thank you! Fast service and fast delivery. We were impressed!! Great service and great products. The shipping was quick and very happy with our purchase. What a pleasure dealing with The Lighting Warehouse. I ordered my lights and they were delivered the same day. I received a personal call to advise me which i really appreciated. Awesome service. The best turn around time! I even had a call asking if they can deliver the next day! Will be ordering again online. Your service was excellent. I have never encountered a fast service like yours ever since I started buying online. Even your driver Lennox was extremely polite, professional. You made it so easy for me not to go anywhere else for my Lighting needs. Excellent service!! Even before The Lighting Warehouse became an online store, we have only received good service. Well done!! Your excellent service delivery is greatly appreciated! Very satisfied! Great service. Quick Delivery time. Well packed to prevent damage during transport. Great quality! You get what you paid for! Well done! Naas was extremely helpful to me and that is why I made my purchase today ! Well done Naas and keep up the good work !! I ordered, paid and received. Hassle free!!! this is what I call a great shopping experience. Great service! Lights delivered in 3 days. Went over and above to help me with a request to have lights changed. Thanks. Fantastic experience. Fast and efficient. And I love the lamp. But way too much packaging. My house was filled with polystyrene and plastic after unpacking the lamp. The environmental impact from the packaging of the lamp is too high. I was actually embarrassed about it. Perhaps see if your factory can replace polystyrene with either shredded paper, or popcorn, or mushroom packaging etc. Service was much quicker than expected, light is awesome! Thank you guys, highly recommend your services! My order was delivered fast. Really satisfied with the service. The product is amazing. Totally happy with service… most efficient online shopping experience I have ever had, very happy with the products too..
Great purchase experience and super fast delivery! Amazed at how quick we got our ceiling fans!! Impressive turnaround with only 5 hours from order to delivery! I’m extremely satisfied with such service! 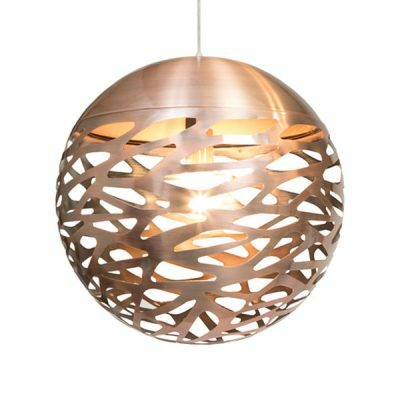 Buying new light fittings for my home from lighting warehouse’s online store was an absolute breeze! I ordered the fittings and my purchase arrived within a few days, despite the fact that I live in a very rural area. The fittings I got were considerably cheaper than any other lighting shop I had been to, and for the exact same product! So easy and so worth it! Very happy customer, and will be back! Love the fast service! Thank you!! Thank you for your fast efficient delivery. Excellent service. Online purchase made and delivery took place the next day. Good job on the website. Hoping the delivery goes well too. Great prices and a really good range of options available. I am very happy with my purchase and delivery was easy and smooth…I would have liked to have known in advance when to expect delivery since delivery was 4 days after I expected it (I do live very remotely so this is not surprising)…I did request a phone call before delivery to ensure that I was here and I did not get that, fortunately I was at home when they arrived. Great service – thank you. Excellent all round service. Fast delivery and a good quality product. Excellent service. Quick delivery of exactly what I ordered and they even contacted me the day before to ask whether I would be home the next day to receive the order. Thank you! Absolutely more than satisfied! Best service and will recommend it anytime! Received my lanterns today and they’re perfect, nice and sturdy . Thanks for great service!!! Ordered on Sat delivered in Cape Town on Wed… Thank You Lighting Warehouse, this is the perfect finish to my project. Thank you for an easy to use online shopping experience. And super fast delivery. The experience from start to finish was faultless. Great to deal with such a professional operation. What a super customer service experience. The website was very easy to navigate and the purchase seamless. The delivery happened without any stress. So happy with my purchase. Thank you. Lenny who does the delivery phoned in advance and always friendly and courteous! What an awesome experience! So easy & the courier was incredible! Thank you so much. Super fast delivery. Item as described. I was so nervous ordering lights online, but all in all – a good experience and a happy customer. Already searching for my next lights! I was very nervous to order a table lamp online without having seen the actual product first so I phoned TLW and was put through to a very helpful person who had actually purchased the same lamp for his son and assured me I could be confident of the quality. At the time of purchase I also made a note that it was essential that I receive a blue one. Upon dispatch I received an email from TLW that the colour had been checked and confirmed. When the lamp arrived by courier I was not at home, the driver offered to bring it to where I was, but I made alternative arrangements. I am absolutely impressed with TLW and their courier. I did not make an expensive purchase, but it was an important one to me, and I can unreservedly recommend the product quality and service that TLW offer. Thanks…..Ordering was painless and your Courier Delivery Service is fantastic. Order on a Monday……arrived on a Tuesday Morning. Other Online retailers can’t do that……. Great service, might have been a good idea to include the option to buy lightbulbs and add to purchase and delivery. I just want to thank you for the excellent service I received. The delivery was not only very speedy, but a breakage during delivery was also replaced without any problem. I truly appreciate it. Thank you again. Thank you for prompt, excellent service! I absolutely love my lights. They are exactly what I ordered. Just a small suggestion… As an added value service what about offering clients the choice to have one of your electrical suppliers install them? Wow, wow, wow! Same day delivery? You are setting the new standards Lighting Warehouse! I ordered late morning and had it by the afternoon (a chandelier). I am utterly impressed. Thank you! I ordered a couple of lights online and the very next day my order was ready for delivery. It’s not everyday one comes across such great service. Thank you for making my world brighter! Very good experience. Order was delivered timeously. In overall I was very happy with the whole shop experience, especially your website is very nice and easy to use. The only problem I had was when it came to payment. I wanted to use the credit card route, which I tried to do 3 times. I gave up. Actually searched other websites and locally for something similar to what you have. Couldnt find what I wanted elsewhere , then tried again with you, but this time I opted for eft payment. And all was well. No problems. Zanele is my Go-to person! I’ve dealt with her for almost a year. She gets my lights here overnight and replaces damaged goods overnight! Lighting Warehouse, for being excellently different in your service and your product range! Amazing shopping experience. Easy online shopping and the delivery service left me in awe. I placed my order after 4pm and when I got home the next day my order was delivered!! Great experience indeed!! What a fantastic experience! Goods ordered online and delivered within promised time. A pleasure shopping online! Excellent website that is well organized & makes it easy to choose light fittings. I was very impressed with your service. Although it was indicated that delivery would take place within 2 – 5 working days, it took place in 1 day! Well done! Well done The Lighting Warehouse, I was blown away by the ease of ordering online and the speedy delivery of my goods. Thank you!! Very good online experience. Just a real pity there is no showroom in the Cape Town area…. Very good service and swift delivery – thank you! after sales service really good. I ordered a desk lamp on 28th Feb to be delivered in Cape Town. I sent a query yesterday Thursday as it had not arrived. The Zendesk chat followed up immediately. Naas kept me updated by email all day and the lamp was delivered in the afternoon. Thank you! Well considering I still haven’t received the product I paid for this review isn’t great…. Next morning delivery. Very impressive, thank you. Great 1st time experience. Order arrived speedily and products good as per pic. Website was easy to use. Placed my order and literally received the goods the following day – great service! I was initially hesitant as online shopping and fragile items on top of it…yes, scary thoughts. However, I found what I liked and decided to order it. 5 – 7 days I was informed. Settling in to wait for the period, I was highly surprised to receive the package 2 days later. Everything was included and it is both beautiful and functional. Thank you for the very positive experience! I would definitely make use of The Lighting Warehouse again and recommend it to other people. The Lighting Warehouse – the online experience was a good one. The website was easy to navigate, the payment was quick and the confirmation email was prompt. I unfortunately have not received my goods yet so I cannot comment on that. I would recommend that first make sure the goods ordered is delivered before you ask for a review. There is a definite missing link between the sight and the delivery service. I left a very clear delivery address, with instructions – and after 3 phone calls the delivery service is eventually on the right track. The part of the form that allows for additional instructions also does not work. On speaking with the delivery dispatch officer he said the copy of the waybill they have has no instructions. Simple. Easy. Priced right. Quick delivery. Everything I need to NOT go to the shops. The whole process of purchasing light fitting online from you was great – the fittings arrived safely, and a lot quicker than I had anticipated – and they are of an excellent quality, and just what I was looking for. The only issue was the actual purchasing process online – I was unable to type in a different mailing address, and still process the payment – so in the end your consultant, Zanele Dlamini, who I spoke to when I phoned, sorted it out for me manually, and it was all fine. There is obviously an error somewhere in the programming of your website, and it wasted quite a bit of my time, trying it several times, all to no avail, and eventually phoning. I REALLY wanted the fittings I had selected, so was prepared to persevere to make sure I got them, but someone else might easily get frustrated with the process, and move on to another supplier. But your fittings are great, and so was the service you provided! Die diens wat ek van Lighting Warehouse gekry het, was fantasties. Ek het die ligte die Sondag bestel en was baie verbaas toe dit reeds die Dinsdag afgelewer is. Dit is nou goeie diens. Van die glasies was stukkend en ek het die aangemeld. Twee dae later ontvang ek die HEEL glasies. Baie dankie vir uitstekende diens gelewer. Well done! Nice website. A bit slow and hangy at times. Like the layout and subdivisions, easy to navigate. All good thank you. Received very quickly! Well organised website, great selection, easy process and quick delivery! Very impressed! Fast friendly service. I received a faulty item, which was promptly replaced. Shopping on your site was truly awesome, goods arrived in good time and was properly packaged. Quality of the lamp and bulb I bought was also very good, pleasant experience overall. What a delight. Very clear and enlargeable pictures on the website with pricing. Very easy to see that any order over R 500 will be delivered for free. Light fittings arrived Marvellous in no time and good time to go into our new home. Thank you very very much. Blown away by the excellent service! Right from browsing the site looking for what i needed & getting help right there, to the delivery arriving the very next day…. Thank you so much! There was no communication about my delivery which was terribly frustrating. I didn’t receive a call, email or sms till I reached out to the help desk. The zendesk was very accommodating but also gave me incorrect information such as the time of my delivery and whether or not a bulb was included with my lamp. I was told by delivery would come between 1-2 and it only came at 5:30. I was told there was a bulb included with my lamp so I didn’t buy one only to get the lamp and find out there wasn’t one included. At that point it was too late to go out and buy one because all stores were closed. The experience was really terrible and I don’t think I’m going to shop here again. Thank you for your prompt and excellent service, much appreciated! Thank you. Naas Oosthuizen was extremely helpful & patient with regards to answering all my queries about certain wall lanterns. Thank you for your excellent service. I have recommended you to my friends. The best service I have ever had on the internet! Ordered Sunday delivered Monday ! Thank you very much. Did an online order. Got a call to say goods are on their way. Fast efficient service. Will order from you again. Best prices for the most beautiful lights and a wide variety to choose from. The lights I ordered were delivered in record time and when I changed my mind and wanted to exchange some items it was collected at my house the following day. Remarkable service. What a pleasant experience! Your lights are beautiful and it was sent to me in Cape Town so fast. Excellent service, one of the most efficient online experiences I’ve ever had. Well done and keep it up. Service was good, product delivered 380 km’s away the next day. 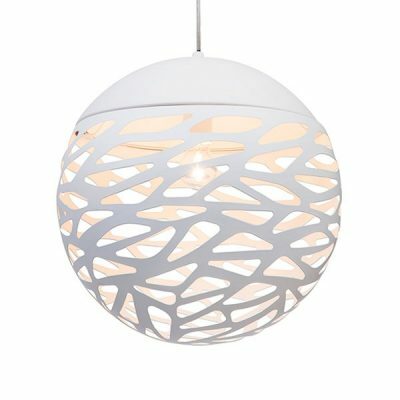 Thanks TLW for an easy and awesome experience ordering my light fixtures online. They were delivered just days later and I’m thrilled! Very happy with our light and the good service we received. You over exceeded my expectations. Super fast delivery. Will only buy lights this way in future. Your shop experience was very disappointing so this was a welcome difference. 10 out of 10. “The online ordering process was super easy and efficient and notifications, so far have been great. Excited to receive the light fitting! An easy online shopping experience with unique and well priced products, and super quick delivery. Look forward to doing business with you again in future. Such a swift, easy to use online shop. Great experience. Can’t wait for my delivery. So user friendly and beautiful products. So very convenient. I bought the Detroit lamp and two Antonio lamps. Loved both of them. Two screens of the Detroit lamp was broken and Naas said they will send replacement immediately. Hi, I am satisfied with my shopping with you thanks to the chat function which helped me sort out the problem of filling in the form. The form could have a better layout and be easier to use. Otherwise the products are good and the delivery found the farm. Have a good day. My online/purchase experience for The Lighting Warehouse was absolutely deLIGHTful. Excellent service – could not believe how quickly you delivered! Very impressive! Quick and efficient, very professional. Emails were answered professional and promptly and delivery arrived before planned ETA. Happy to know this business is running like a well oiled machine. Service and delivery was excellent – well done. There is just one word for the service at Lighting Warehouse and that is: EXCELLENT!!! I am planning to buy many, many more light fittings from them. Thanx for great service Zanele – You took the black out of Friday and made it a wonderful experience online instead of standing in a line! I love online shopping for the convenience it affords me but the experience I had on your website when placing my order is above satisfaction. I even found stuff that I have been looking for, for a long time…. Now it’s a matter of budgeting and then I am back for more. Thanks for the platform to enable us to place orders online. I love dealing with the lighting warehouse online and kramervilled team, they are awesome! I’m pleasantly surprised that we got our parcel the following day and we live in the country! Well done!! What a phenomenal experience! I ordered items, I couldn’t find anywhere else, one evening and had it plugged in the next day. I was super impressed and would highly recommend the service! Very quick delivery. Great product! Great and easy service. Lights arrived a few days later. Perfectly packed. Quick and efficient service – thank you so much! The experience was quick, efficient and superb. Well done!!! I had the best experience with Lighting Warehouse, could not believe the quick delivery, it was fantastic thank you. My sincere appreciation for your excellent service and delivery speed on our purchase recently. As a school principal, I deal with suppliers on a daily basis. Your service is none other than exemplary. You certainly have a new client for life! What a wonderful experience! Delivery was super quick(Wellington, Western Cape). The MONAGHAN light fitting is beautiful and make such a statement. Thank you! My lights were delivered about 6 hrs after placing the order- brilliant! Well done, Lighting Warehouse. Excellent, fast service-was delivered day after ordered. Thanks so much for the great service!!!! I ordered my products the night and received a call early the next morning to confirm that my order will be delivered that day!! Will definitely recommend. I will be sure to order from you again. The product was good—had everything inside what you needed to do a legal installation and the delivery was fast. I’m happy with my purchase. Great service and quick delivery. Really have no complaints. Will be purchasing again soon! Excellent service. I sent a message and was phoned back immediately. I was impressed with getting an answer to my initial question within 5 min and pleasantly surprized to get delivery to PE within 3days :-)! But then the plastic clip of the desk lamp broke almost immediately 🙁 so I am disapionted and don’t know if I’ll use The Lighting Warehouse again. Hi there! I received my lamp on Monday and am super impressed with its quality and so on. Delivery was also really fast. The only thing is that on your website when I placed the lamp into my ‘shopping bag’ I added two of the bulbs that was recommended to me. But these bulbs don’t fit the lamp I bought and so I have no use for them now. Thank you so much the service was excellent and will certainly buy from you again. Thank you. Can just say, what a fabulous first time customer experience with Lighting Warehouse. From speaking what the branch at Menlyn and being referred to where to inquire about my order, right up to receiving it. Warm, professional and helpful. Thank you to all!! Fantastic! Made buying a lamp from Australia for my aunt in East London totally painless. Thank you. Quick on delivery. Products as expected. Great service and product, very happy! Great range of different styles but website doesn’t seem to work that well on iPads. I put various fittings on my wishlist and there was nothing to indicate where I can look at my wishlist. Email help was quick but the button that they said is there to access the wishlist was simply not there. Lighting Warehouse has been fantastic – quick delivery, efficient call centre and good products. Thank you. Very quick and efficient service. Thank you very much. Great service! Purchased the light on Sunday afternoon and it was deliver before lunch on Monday! Fabulous online and telephonic help with the order from the sales and service team . Not a great courier is used though in my opinion as one of the boxes was missed off . But the team helped me sort it out and we got our parcel . Will definitely order from you again !! Thank you for such prompt service. My order was delivered next day! I will definitely order from you online again in the future. Professional service. Fast and efficient. Great service – first time I’ve used them and won’t be the last! The Lighting Warehouse has by far the best prices in the market. Their website is easy to navigate through and ordering online is easy. Their service is fantastic and we received our order within 2 days from placing the order. On top of that, the pendants we bought were beautiful and matched the description and image on the website. 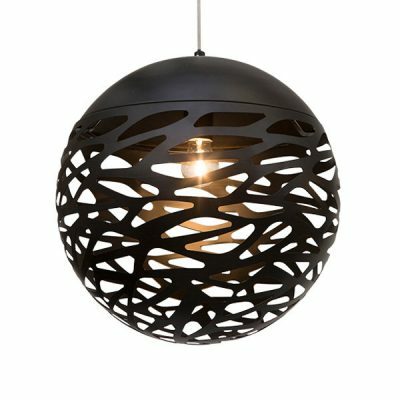 I highly recommend The Lighting Warehouse to anyone looking for light fixtures. Easy & convenient. Thank you. Very efficient service – great product – will definitely use you guys again! Thank you! I recently enquired with a number of suppliers regarding a ceiling fan. I received the response, quote, as well as delivery, a full day before the other suppliers even responded. Excellent Service Zanele. Great product, great (and fast) service. Unbelievably quick delivery, and happy with the product. Great service from your Kramerville team, online order was wrong because I ordered the wrong light and they did the swop and were very helpful. I will definitely use them again. Great service! Sales agent on the telephone was professional. Delivery was quick. Delivery team were professional. Lighting Warehouse is our number 1 lighting shopping place! Excellent, easy website! Happy customer! Great, user friendly website unlike many of the others I visited. Good selection of lights and a fast turn around time with delivery. Excellent service, very easy online purchase that arrived promptly and was also wonderful quality. I went to buy a globe at the Kramerville shop. The person who assisted was patient – he explained the different types of whites and stuff. Thanks!! This is the 3rd time I’ve used LW and each time I was impressed by the great selection of products and speedy delivery/efficient and friendly customer service received. Very impressed. Ordered and delivered the following day. Just a consideration, please look into notifying when courier has collected for delivery. But, I am really very,very satisfied in your service! I ordered online from Paarl, in the Western Cape on the Sunday and all of my lights were delivered to my front door by Wednesday. Would recommend The Lighting Warehouse to any one in need of lights. Fast and professional service. Thank you for super fast delivery. The lamp is simply fabulous. Such a pleasure to get service like this!!! Thank you very much. I was very happy with the whole process. The website and ordering process is user friendly. The product arrived 2 days after I ordered and was well packaged and presented. More importantly – the lights were exactly as described on the website so there were no unwanted surprises! Good online experience. Very good customer support by Zanele when there was a problem with the delivery by the courier company. Received my lights when she said I would. Sorry to say that the colour of the pendants that I ordered does not match with the colour on your display. Still waiting for report from your company to sent them back. Great prices, even greater selection and friendly staff on the phone (I phoned to confirm stock and discount procedures. People in Cape Town can learn a thing or two about good service and positive client experiences. I recently purchased 4 lights via the Lighting Warehouse online store as I was not able to find any lights suitable for my purpose at home décor stores in Bloemfontein. I needed bedside table lights that are functional (ie heavy and stable enough not to fall over! ), look good and are not overly expensive. I received exceptional personalised service from the Web team from start to finish, communication as to where we were in the process, and as a great surprise, a discount coupon! I requested that delivery be delayed as we were away for a while. All worked perfectly. Lights were packed securely and I am thrilled with the purchase! Will definitely try it again in future when I’m next looking for lights. My experience was great! Refund on the wrong LED’s was prompt and appreciated. I still await the gentleman to call me to advise on an alternative LED to be used that we can try instead of what we purchased to ensure warm white without flickering MR16 type. Excellent service, speedy delivery and packed to perfection. Top marks from me. I was extremely happy with my experience shopping online at The Lighting Warehouse. The website is user-friendly (also cellphone compatible which is rare). My order was delivered ahead of the scheduled delivery date and the product is amazing. I will highly recommend The Lighting Warehouse to anyone! Great job!! Great, speedy service and very happy with the product received. It was such an easy online shopping experience – there are so much to choose from – and the easy to use website gives you all the required information at a glance. It saves so much time! A very good experience – no hassles in ordering and quick delivery. I am very impressed.